Posted by Matsu in Business, Information Technology, Microsoft, Software, Technology, Web, Windows/Microsoft. Several people have told me about an off line version of Gmail, coming soon. Other people say that Google, or a company working with Google, is going to come out with a new server that will let corporations replace their Exchange servers with ones made by Google. Now, wouldn’t it be interesting if Google did in fact come out with an e-mail client to rival Microsoft’s Outlook or Outlook Express? And, to take that one step further, what would happen if Google did release a server that could replace Exchange servers allowing all existing Outlook and Entourage users to just continue using the same client software with the new server without ever knowing the difference? Obviously, that’s not something Microsoft wants to see, but it may be coming. The world of technology is always interesting and ever changing. Posted by Matsu in Information Technology, Technology, Web, Windows/Microsoft. Last week I ordered a couple of Linksys WVC54GC web cameras to test out the technology for potential use at work. Well, they arrived this afternoon so I couldn’t resist the temptation to unbox one of them and set it up. I had to know if it was as easy to set up as I had heard. Well, it’s not. I must say the first roadblock I ran into was the requirement to use Windows to run the setup software. I figured it would be like a Linksys wireless access point and they would have a web interface to setup the hardware. But, that wasn’t the case. I couldn’t use my Mac to set it up. I had to use a Windows based computer. Grrr! Once I ran the setup program and configured the wireless web camera I went to my Mac to see the streaming video image. But, it didn’t work. I went back to a Windows computer and entered the IP address of the camera and it then prompted me to install an ActiveX program. Grrrr! It requires Internet Explorer and ActiveX to view the camera image. So, I not only can’t configure the camera using my Mac, I can’t even watch the video image from my Mac. Believe it or not, the video image on the Windows computer was decent. It had a much higher quality than I expected. I was able to point the camera to a television and then watch that TV through the web browser (provided I was using Internet Explorer — Grrrrr!). The only fault I have with the video image is the size — it’s fairly small (320 x 240 resolution). You can enlarge that on the viewing end to a full 640 x 480, but it’s a just “fat” pixels, not an improvement on the image resolution. If you are a Mac user and need a web cam, this is not the model for you. Keep shopping. But, if you are a Windows user this may be just the web camera you were looking for. It worked very well using the Windows computer. Posted by Matsu in Apple, Information Technology, Japan, Mac, Microsoft, Software, Technology, Windows/Microsoft. Yup, Apple is finally shipping a database for the rest of us. Yesterday they released a new product called Bento by FileMaker. As you may know, FileMaker is an Apple company that provides database software designed for small to medium sized businesses. Now, they are selling a new $50 database product for individuals who want to track collections of things or just plan a party. This product fills a whole in Microsoft’s offering as Office for Mac doesn’t include database software. Now, Mac users have a database program that will fill that need. I wonder how well it integrates with Microsoft Word or Excel. 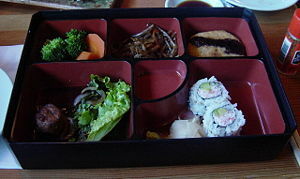 By the way, did you know that “bento” means “lunch box” in Japanese? It does. I haven’t installed the demo yet, but I will do it this week and let you know what I what I find out about integration with Microsoft’s office software. Posted by Matsu in Information Technology, Microsoft, Open Source, Software, Technology, Windows/Microsoft. If Zimbra is truly an open source product and if it is in direct competition with Microsoft and their Exchange server product, then will Microsoft kill Zimbra as soon as the Yahoo acquisition becomes final? Can they kill it? Will they provide an open source alternative to their commercial product? Will they support and improve Zimbra as an alternative to their flagship e-mail server product? What do you think? “Zimbra” and the Zimbra logo are trademarks of Zimbra, Inc.
Posted by Matsu in Information Technology, Microsoft, Software, Technology, Windows/Microsoft. Many corporations have held back and not upgraded to Microsoft Windows Vista, instead choosing to continue to use the stable and highly compatible Windows XP operating system. This has significantly hurt sales of Vista. Then, several months ago a CNET article reported that Microsoft agreed to allow users to down-grade their Vista computers so they could run Windows XP. A recent survey by CDW shows why users have not upgraded. Some of the reasons not to upgrade to Vista included the hardware requirements, the way in which Vista is a memory hog, incompatibilities with existing Windows applications (which run fine on XP), security holes, and the lack of any significant advantages over Windows XP. Some people are hoping that Vista’s first service pack (SP1) upgrade will solve some of the problems, but most have already decided to stay with Windows XP and are looking forward to XP’s next service pack (SP3). When I read this article by eWeek I couldn’t help but wonder if Microsoft was ready to give up on Vista and move on to the next version of XP, referred to as Windows 7. They have released less-than-stellar versions of Windows operating systems before. Do you remember Windows ME? In some ways, Windows NT Workstation and Windows 2000 never really took off like Windows 98 or XP. Some organizations (including where I work) stayed with Windows 98 until Windows XP was released. We totally skipped both Windows NT Workstation and Windows 2000 as the standard for the PC’s in offices and computer labs. Now, we must decide if we will do the same with Windows Vista. Since I work at a college, many of our I.T. decisions are tied to the academic year. We lock in an operating system in our computer labs for the entire year, not making any mid-year changes. When Windows Vista was released last year, we quickly determined that much of the academic software used in our computer labs would not run properly and so we couldn’t upgrade to Vista until the academic software was made compatible with Vista. Our assumption was that one year would be ample time for the vendors to update their products (it’s just a simple re-compile, right?). Well, we are more than half way through the year and we are still waiting for updates to many of the academic programs we use in the labs. That’s a problem. We’ve been reading articles about the number of organizations that have resisted the proposed upgrade path and stayed with XP as their desktop OS standard. Then, we begin to see rumors that Microsoft will be emphasizing the next version of Window XP, known as Windows 7, you can’t help but wonder if they are having flashbacks to Windows ME. How long will it be until Microsoft announces the end-of-life date for Vista? I predict it will be years. After all, there are millions more users running Vista than were running Window ME at its peak. It took Microsoft a couple of years before they announced the end of that product line. I expect the same for Vista. Until they have a solid upgrade path in place (i.e. released Windows 7) they can’t give the impression that Vista isn’t a viable solution. After all, they need users to update to something if they are going to maintain a revenue stream. Posted by Matsu in Apple, Information Technology, Mac, Microsoft, Open Source, Software, Technology, Windows/Microsoft. Don’t you just love rumors about new technology. After all, you can dream about finally getting that product or feature you always wanted, but nobody will create. I think nobody spreads rumors as passionately as Apple users. Now, don’t get me wrong. I’m not speaking badly about Mac users. After all, I’m typing this blog post on my Mac laptop (Intel). And, I own a couple of iPods and every other member of my family owns at least one iPod, my teen-aged son owns more than one. So, my observations are not from an “outsider” nor am I some Microsoft Windows bigot. I actually see the value of all three of the most popular operating systems (Windows, Mac OS X, and Linux). And I routinely use all three. But, I must confess that for everyday use; e-mail, web surfing, word processing, spreadsheets, etc. I prefer to use a Mac. It’s just more comfortable and just works. Oh, and I use it for viewing photos and listening to music all the time. Now you know where I’m coming from. Back to the latest Apple rumors. Have you seen the Apple banners they put up at MacWorld? Like ancient medicine men interpreting tea leaves, Apple fans everywhere are trying to guess what they mean. I am sending two of my I.T. staff to this week’s MacWorld in San Francisco. Being the weekend before a major trade show dedicated to the Apple Mac you know everyone is making their predictions on what Steve Job will announce during his keynote address on Tuesday. It’s always a big event, but this year it may be even bigger than last year. After all, last year Steve confirmed the shipping date for the iPhone, something they had announced about six months earlier. This time, the speculation by Fortune magazine is Apple will announce a new sub-laptop. Something smaller than the 12″ screen laptop currently available. Rumored not to have a conventional hard drive, it is supposedly a memory-chip-only (flash memory) computer. If you haven’t already seen it, you should go here to see a regular MacBook Pro that’s been converted by replacing the hard drive with a Samsung SSD (solid state drive). I’m not sure there’s a big market for something like that. I would rather see a tablet Mac, like the IBM Thinkpad tablet, only it runs Mac OS X. THAT is something I could get excited about. Although, according to this article an Apple tablet (aka Newton) is not likely to happen this week. While I am talking about wishes I have for Apple, I can’t pass on the chance to once again share my wish that they would develop a way for Windows applications to run natively on a Mac (in Mac OS X). It’s technically possible to do, but my guess is that Apple is not willing to engage in all out war with Microsoft and provide a direct replacement for the Windows operating system. That’s my guess. If Apple won’t build in the ability to launch Windows programs in Mac OS X, then I wish they would buy or license Parallels or VMware for Mac and include it with every computer they sell. That way, ALL of their computers can run Windows applications out of the box without buying anything else. I know that you can always buy Parallels or VMware for Mac, but it would be better if it were just part of the operating system with full Apple support. In a little more than one day we will learn which rumors were on target and which rumors were born out of the imagination and wishes of a Mac fan. I predict most will fall in the latter category.